Use our ground breaking law of attraction subliminal audio to add extra power to your manifestation efforts, and start really seeing the success you desire with the law of attraction today! Imagine how your life would be if you could actually manifest your desires into reality. If all the positives you thought about you received - money, happiness, that dream house, a loving relationship. Imagine how you would feel inside, how you would live your life, the things you would do if you were really in control of your mind and the things which were being manifest into your life! Are you serious about the law of attraction? Are you committed to consciously pursuing your attraction goals? Are you willing to do anything and everything you can to make the law of attraction work? Are you one of the 2% who will pursue the law of attraction and make it work? If you are this dedicated person then this album can help you. It will not do all of the work for you, but it will give you that vital boost within your subconscious mind and align your thoughts for success with the law of attraction. Eliminate and negative thoughts within your mind so there is nothing to sabotage your success. Focus your thoughts on your attraction goals so that you are fully aligned inside and out to manifest them for real. Rewire your mind so that instead of hoping your attraction will appear you will have a 100% belief and and approach your manifestations with full confidence that you will receive them. When you first start using the album you should feel more positive and energized, even excited straight away, and within a couple of weeks these feelings will grow into physical manifestations within your life as you attraction desires start to become real. Take action in your life today! Download this album now and gain a boost to your law of attraction efforts instantly - you could be taking the first steps towards manifesting your dream life within minutes! 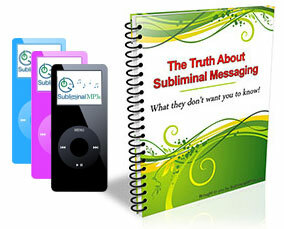 This is our core subliminal law of attraction subliminal. It contains key messages from our 4 main attraction albums: Money, Success, Opportunities, and Health. It also works well when combined with our "Attraction Accelerator" album.